Hi everyone! Today I have a cute Halloween manicure featuring some cool glow-in-the-dark polishes. I've had this idea for months and couldn't wait for the right time to wear it! 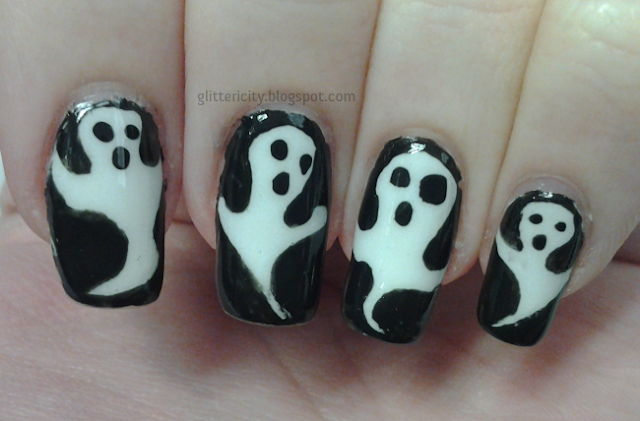 Little ghosties! I started by painting my nails solid white (Sally Hansen Xtreme Wear White On), then two thin coats of a glow-in-the-dark polish I found at a Halloween shop! The brand seems to focus specifically on spooky shades--they are called Fright Night Cosmetics, the nail varnishes are called Claw Polish, and the bottles are shaped like coffins! Look how cool they are! 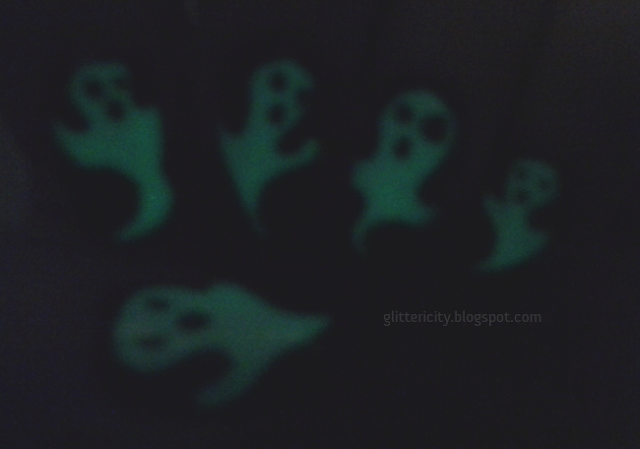 The one I used is, of course, Ghostly Glow. It is relatively sheer and best worn over light colours. One coat probably would have been fine, but I used two to make sure it glowed as nicely as possible.